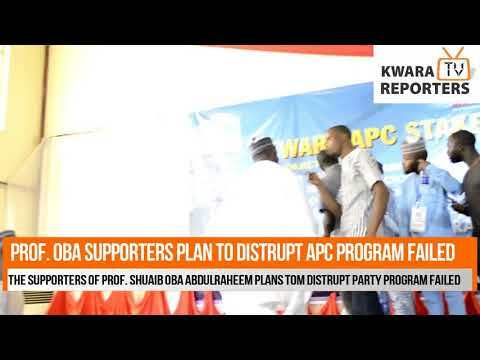 Some alleged followers and supporters said to be loyal to Prof. Shuaib Oba AbdulRaheem who is one of the aggrieved Governorship aspirants of Kwara State All Progressives Congress (APC), today, disrupted a stakeholders' meeting of the State's APC which was held at Savanna Hotel in the Ilorin, the state capital. The supporters' attempt to disrupt the peaceful meeting however failed as the security officers present at the event venue intervened and suppressed the tension. More details about this foiled attempt will be reported later. We accurate reporting as that forum was not a stakeholders meeting. No text was sent inviting stakeholders. It is certainly not all inclusive stakeholders meeting. It is dinner in honour of distinguished APC governor aspirant.